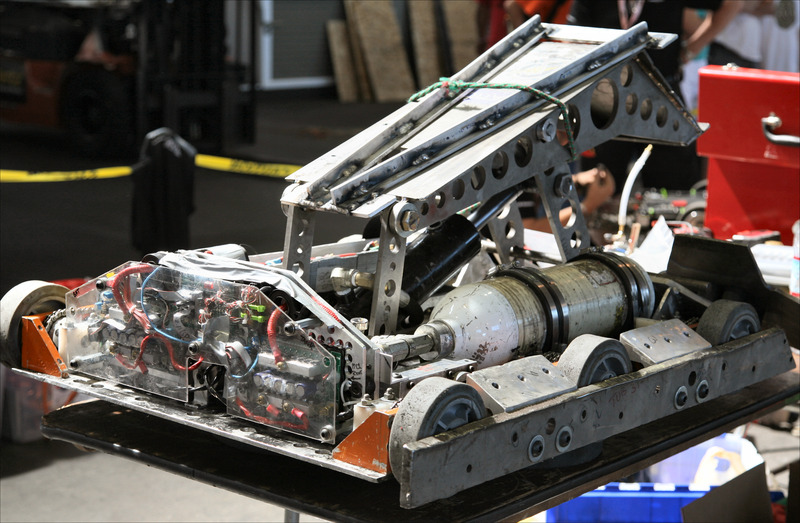 Below are a sample of the many tens of thousands of photos we have from previous RoboGames events. 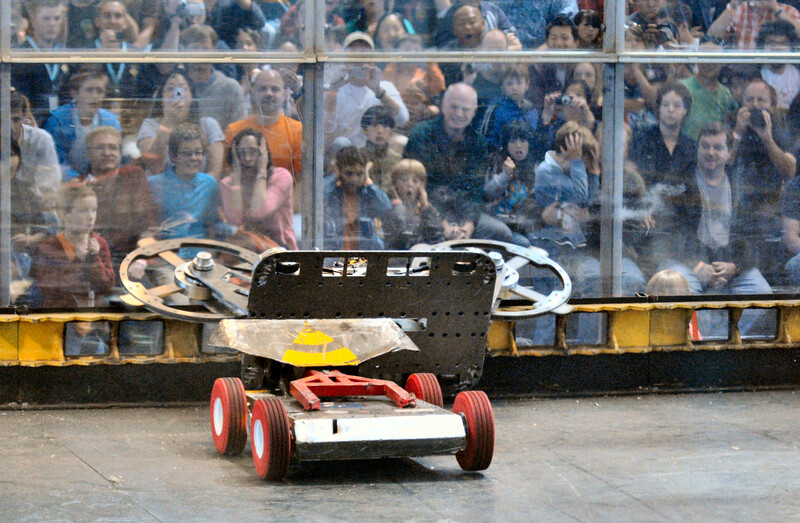 All photos copyright, ComBots, LLC. If you wish to use these photos in your articles or elsewhere, please contact us for permission. We're pretty easy going, we just require that you ask permission for publishing and use, that the listed photographer is given credit, and there's a link back to RoboGames.net. If you're a publisher looking for more photos than the below, we will try to accommodate most requests. If the below photos don't meet your need, we do have many thousands of photos not shown here. Please email us at and we will try to get you a more content specific photo within a reasonable time. It isn't possible to give unique photos to all requestors, but we do our best. "Last Rites" delivers a lethal hit against "VD6" for a knockout in a heavyweight combat prelim round. Team USA hopes for a gold in soccer. 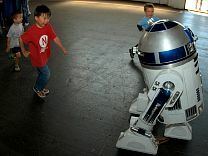 An audience member is entranced by robot dance moves. on his semi-final win in the heavyweight combat round. 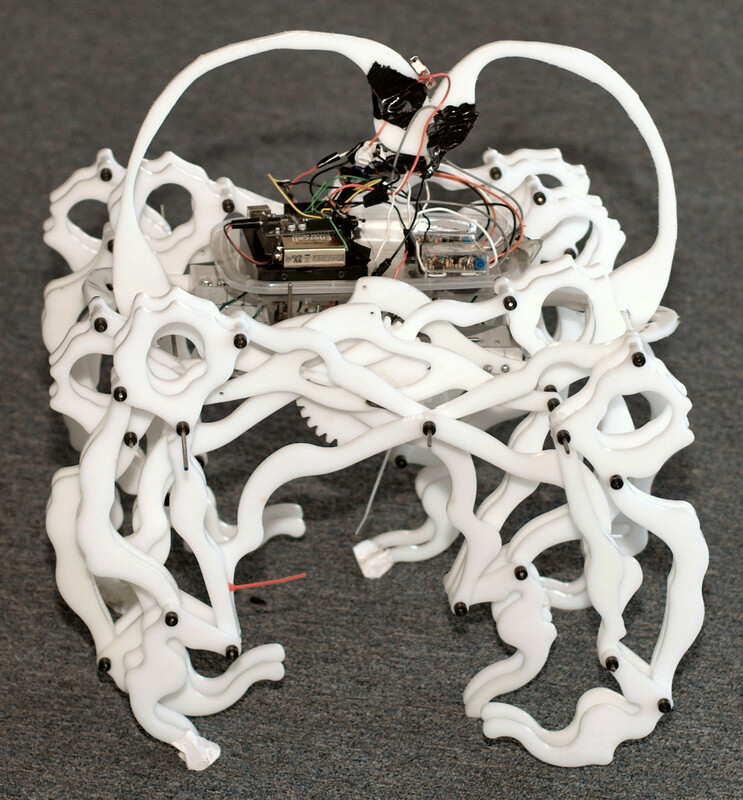 Nemo Gould's cat robot shows its teeth. 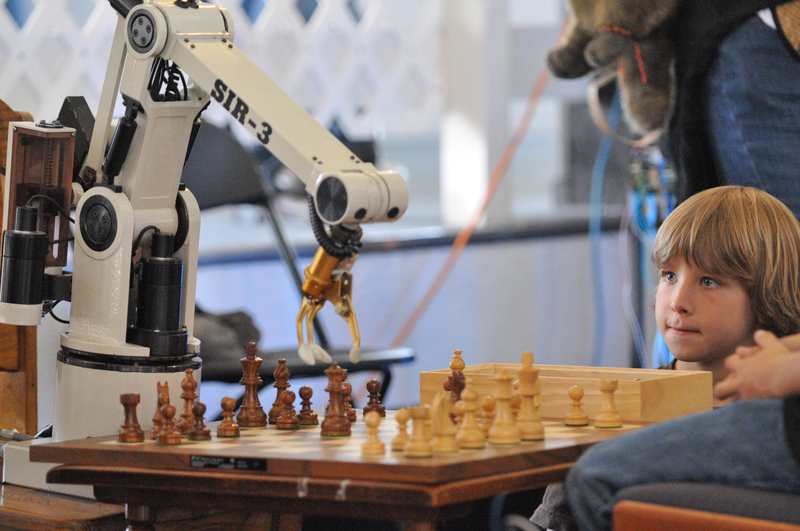 A chess-playing robot tries for the win while an adoring fan watches. A robomagellan robot can self-navigate through an outdoor course to find a hidden orange cone. 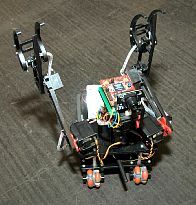 Under the hood of a custom combat robot. 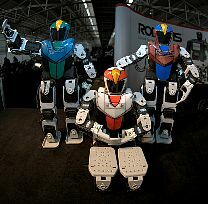 Ace pilots have no fear of other robots! 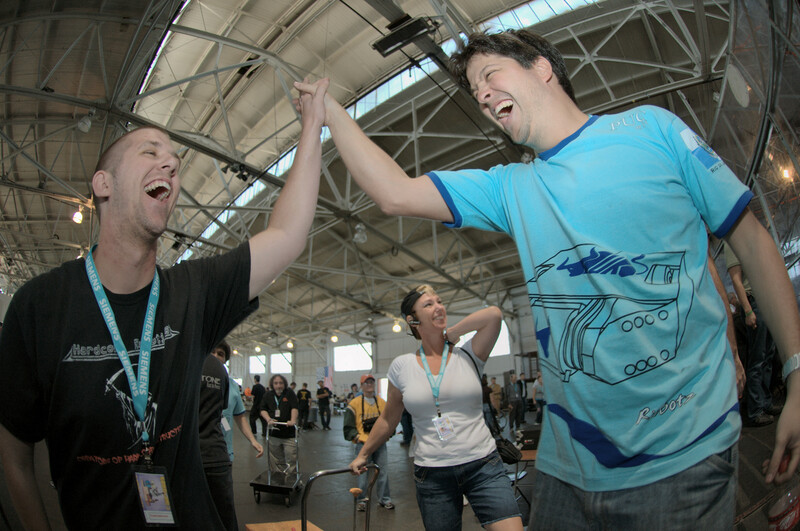 Brazilian Daniel Freitas learns he's won the gold. 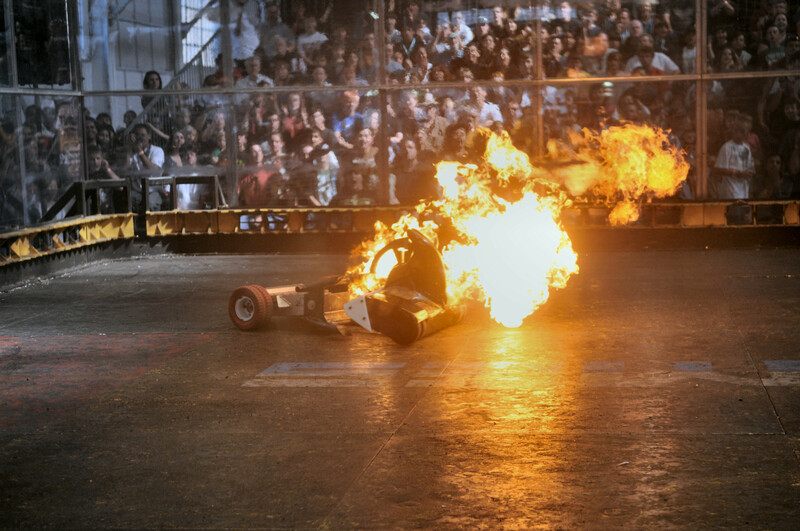 "Angry Asp" heats things up for "VD5" early in a middle-weight match. 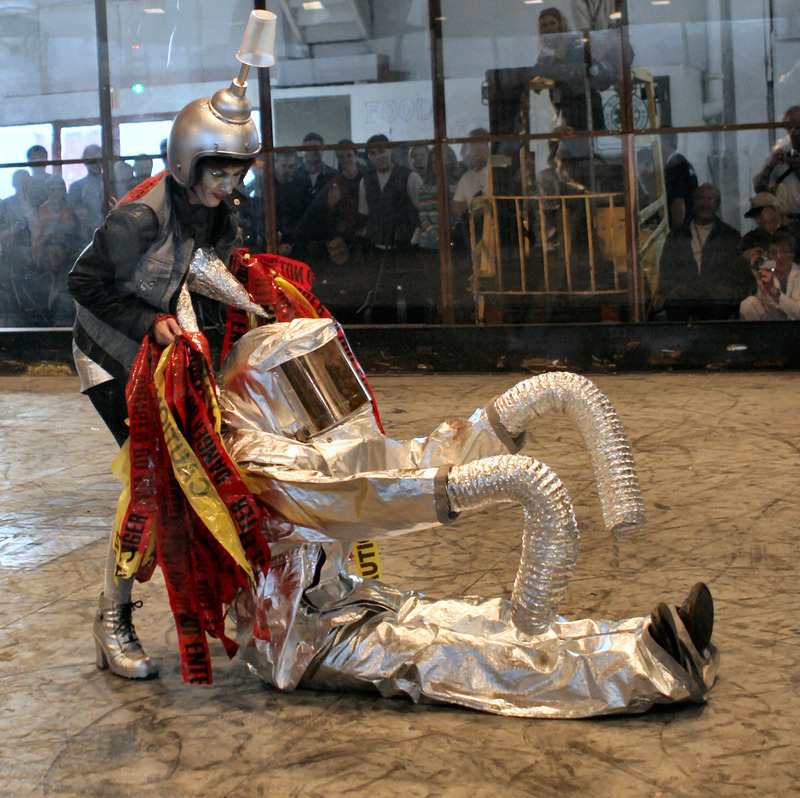 The audience is thrilled, shocked, and awed as heavyweight "Sewer Snake" knocks "Counter Revolution" out of the ring. 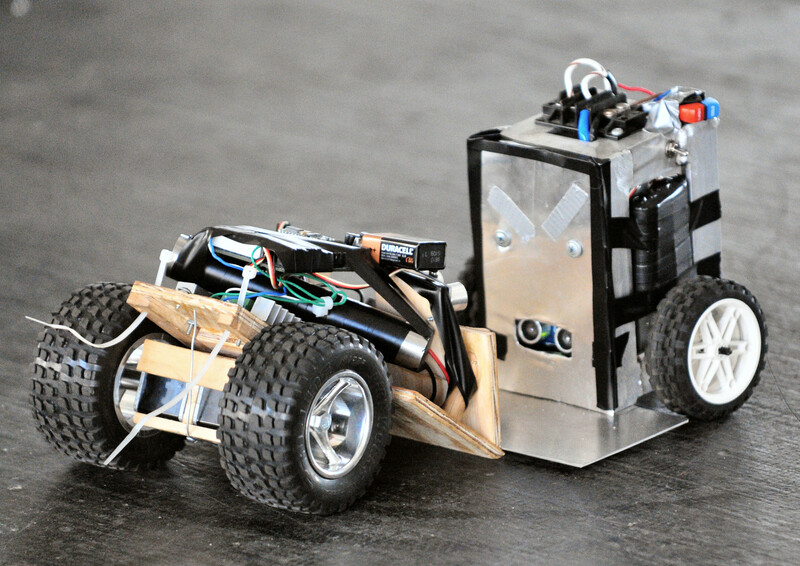 Boxing robots smash each other. 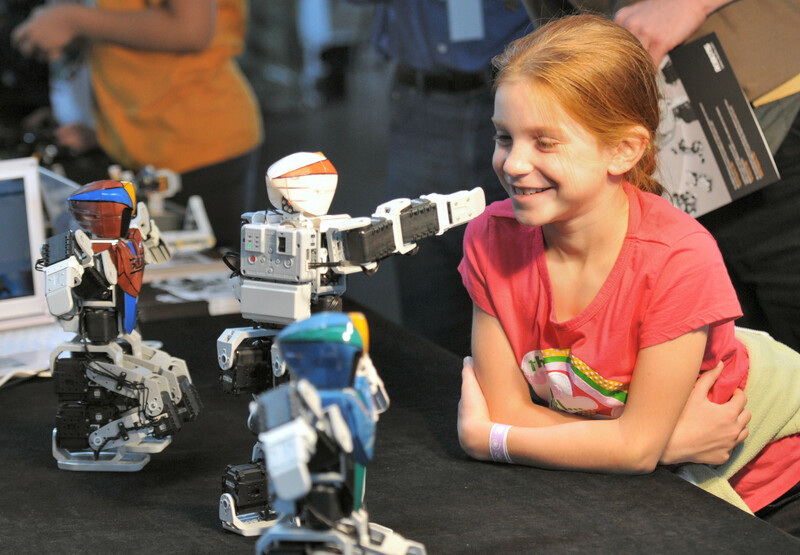 HotShot the robot talks to a fan. 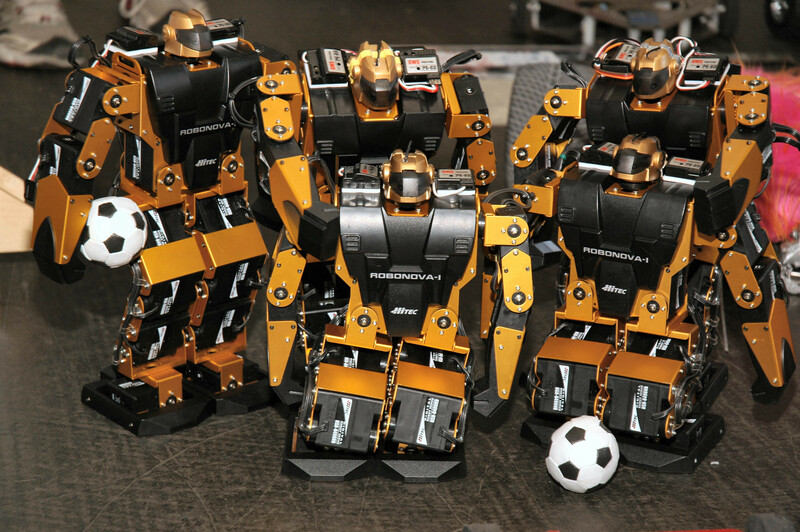 The Korean soccer team from Robotis mugs for the camera. 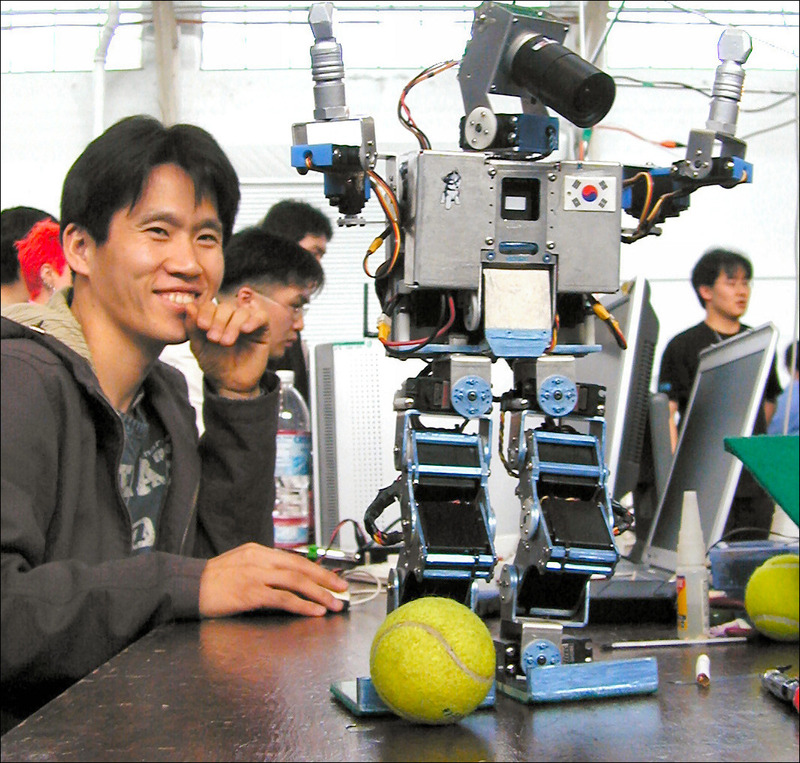 A Korean robot builder admires his creation. 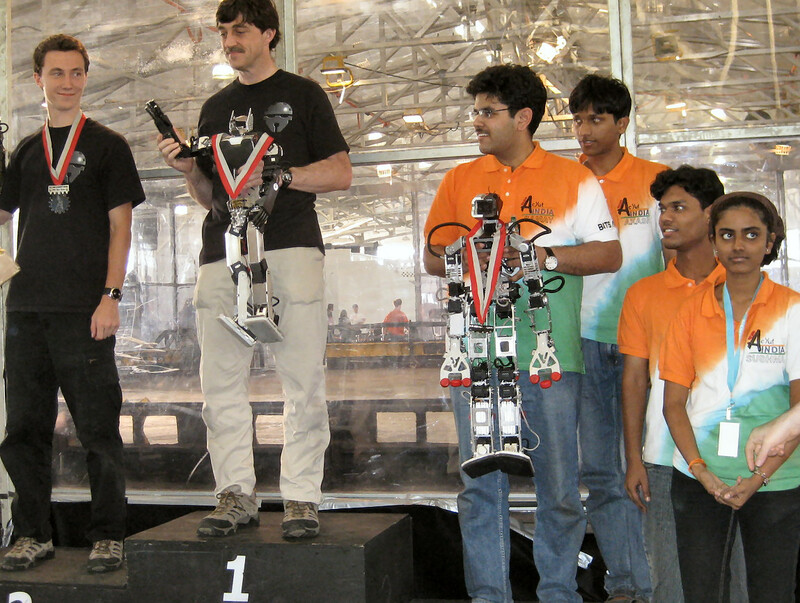 Father/son team Rob and Chris Farrell took gold and silver medals, while India took bronze. 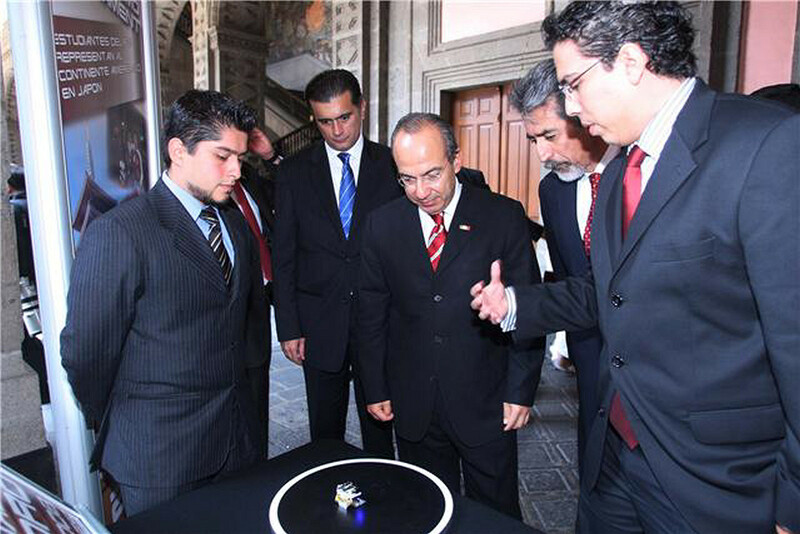 Luis Renya shows off his gold medal winning robot to Mexican president Felipe Calderon after the Games. Now that's respect! 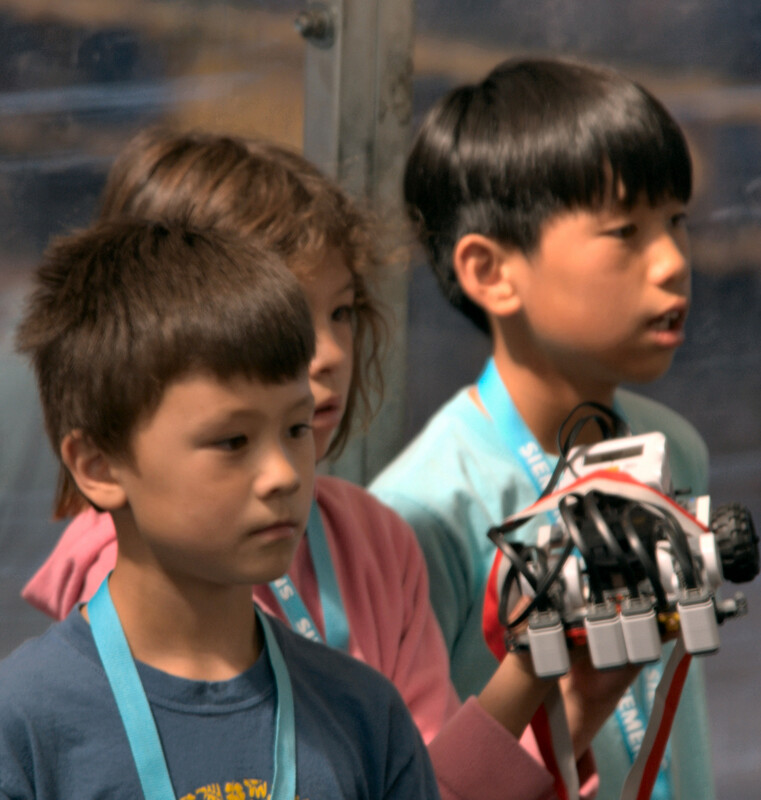 Contestants as young as 7 compete and win at RoboGames. An incredible number of humans and robots from around the world attend RoboGames. A lighter moment during the halftime event. An artist with his creation. Jamie Hyneman of MythBusters confers before a robot event. Zou Ren Ti of China sits with his replicant. 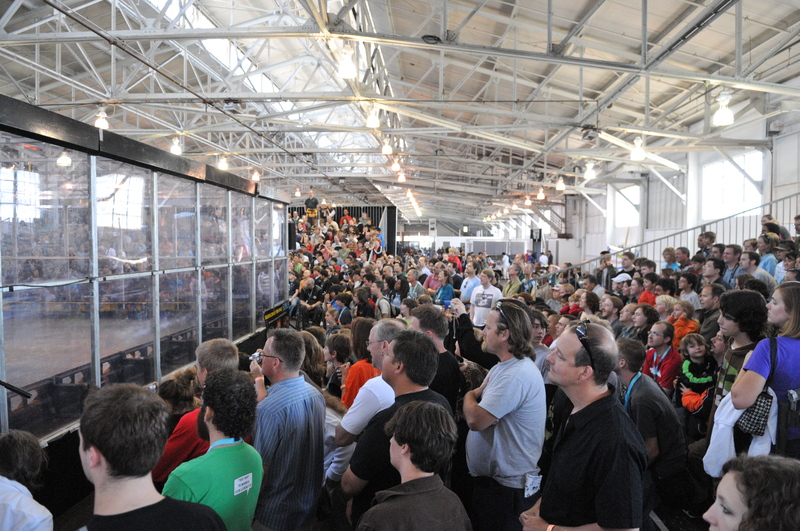 It's standing room only for the combat matches. 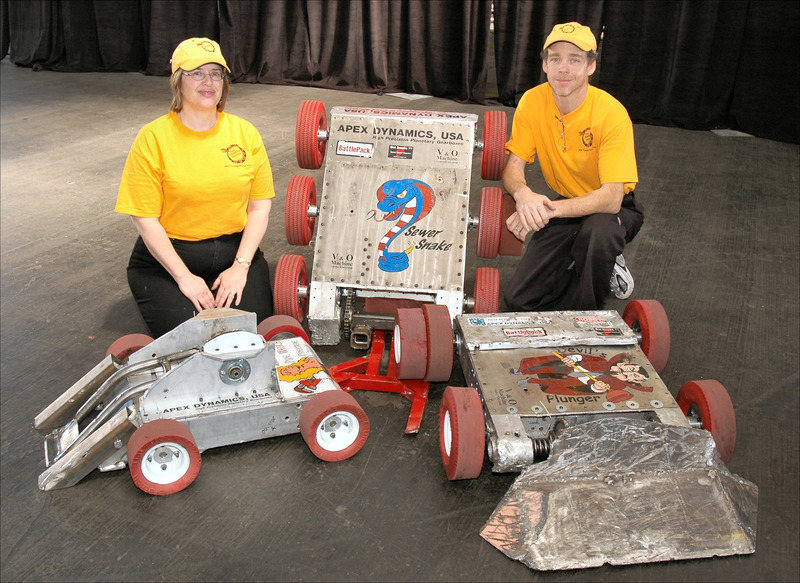 Husband/Wife team Matt & Wendy Maxham show off their bots. 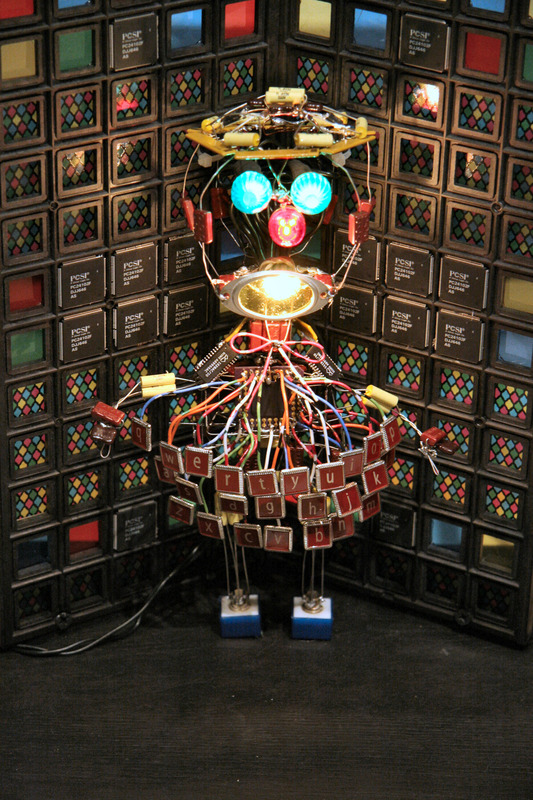 Artbot "Farad" shows some style. 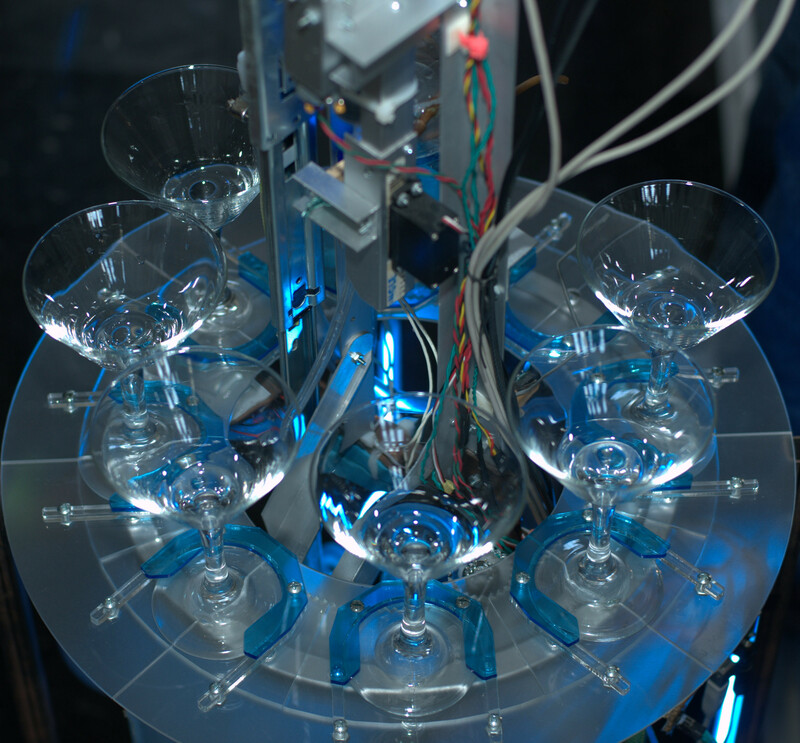 Gold medal winner "iLush," a bartending robot, can mix you up a wide variety of tasty cocktails. "The Flu Virus" won a gold medal for its walking ability. Kids show interest in the sumo robots. 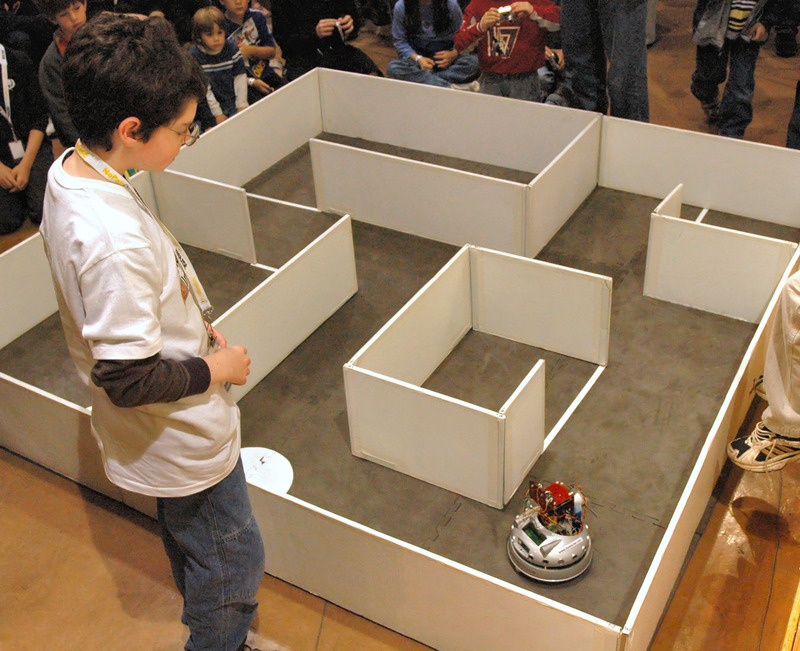 Two sumo robots are at a stand-still in a mini-sumo qualifying round. 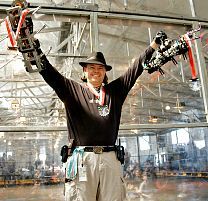 Multi-medal winner Tony Pratkanis watches his fire fighting robot. 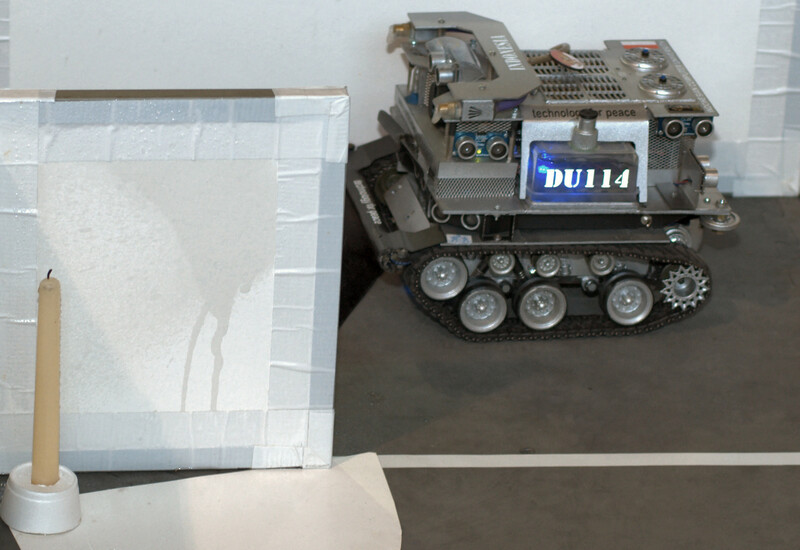 Gold medal winning fire-fighting robot "DU-114" rests after winning the gold medal. 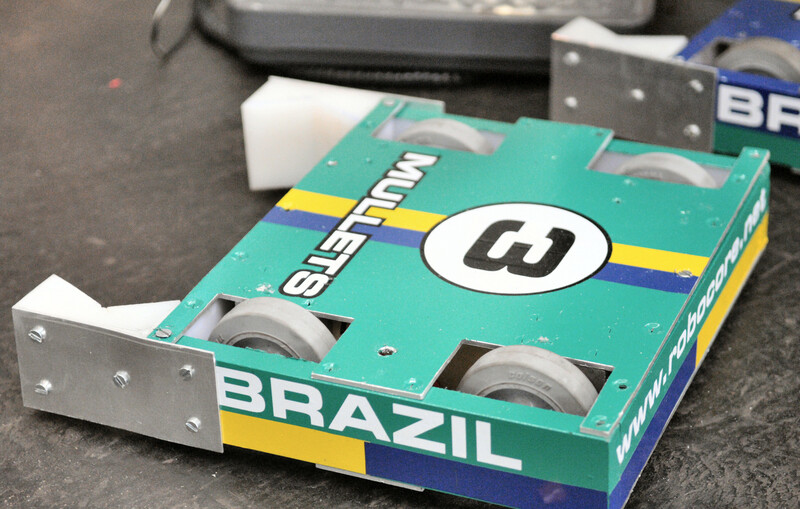 Team Brazil's hockey bots wait for the start of the match. 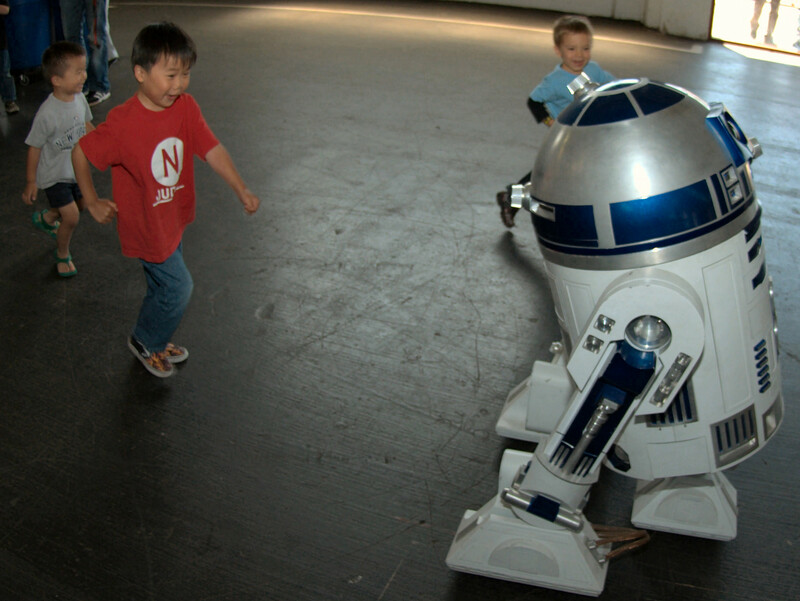 Everyone's favorite robot enjoys the games, while kids chase him for an autograph. 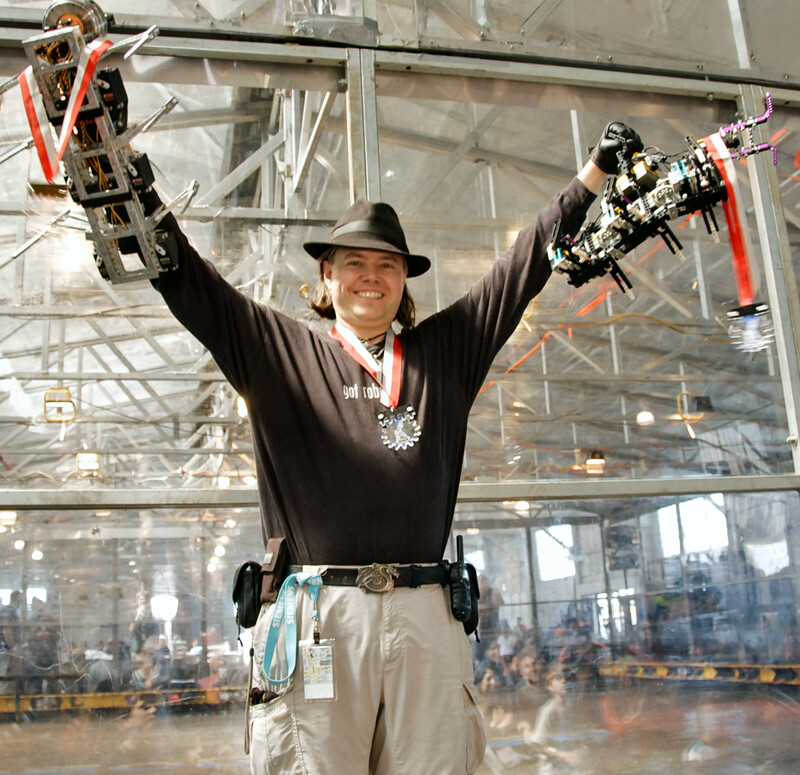 "ERP" shows off before taking home a gold and silver medal. Monty Reed jumps around without using his legs. 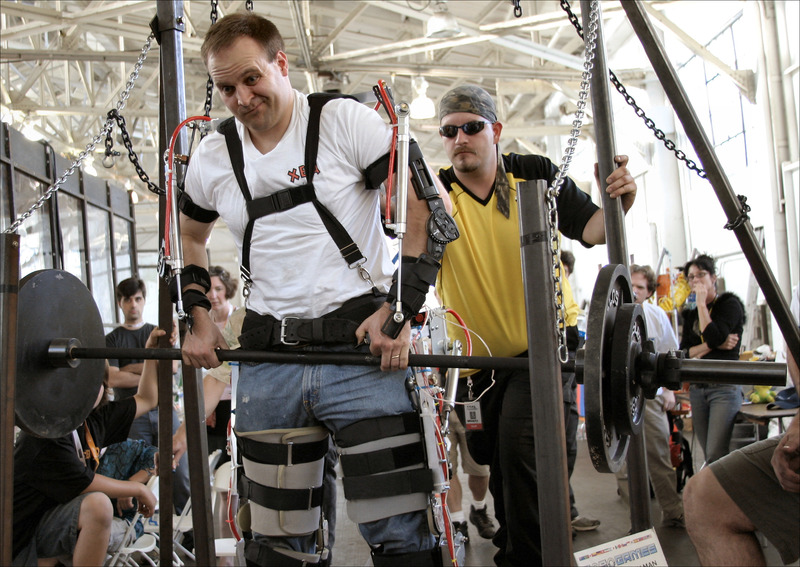 Alex Sulkhoski is aided in weight lifiting with his Tetsujin suit.